The Argentine is currently in his sixth season at San Siro where he has contributed 117 goals from 200 appearances for Inter in all competitions. According to The Mirror, the Blues are closely keeping tabs on the striker's position amid his reluctance to prolong his contract with the Italian side. 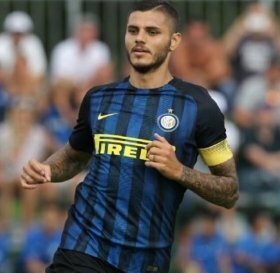 Inter are understood to have discussed an extension with Icardi on multiple occasions but so far, he has shown no intention of committing his long-term future to the club. Luciano Spalletti's side still remain in a strong position with more than two years remaining on the striker's contract, although they would be helpless, should any suitor decide to trigger the £96m release clause in his current deal. Meanwhile, Chelsea have struggled upfront with Alvaro Morata and Olivier Giroud managing a combined six goals in the league this term and Maurizio Sarri has recently voiced the need for a new marksman.